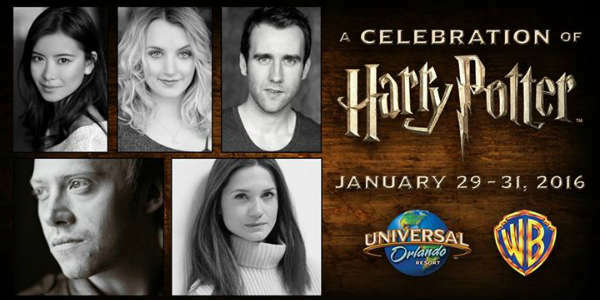 This weekend, A Celebration of Harry Potter is being held at the Universal Orlando Resort, featuring celebrities from the films, and panels for fans to enjoy. Even better, Universal has announced they will be live streaming three of the panels for Harry Potter fans who can’t be in attendance. Starting at 7:30pm, the official Universal Orlando blog will live stream the opening night festivities, featuring all of the guests together on stage. Starting at 6:45pm, the official Universal Orlando blog will live stream a Q&A panel with some of the celebrity guests. Starting at 1pm, tune into Universal Orlando’s Twitter as the park turns to Periscope to offer a look at how the experts take prop design ideas from the movies to real life theme park experiences. You can also follow the conversations from the event all weekend long at hashtag #HPCelebration on social media.